Is our youth ready to face the challenges of smart and intelligent manufacturing processes? echelons of political establishments recently, related to proposed modernisation efforts of the education sector with a heavy focus on technology to change the fortunes of our economy. This insight was provided through their own speeches delivered at various ceremonies and the writer attempts to capture the positive sentiments expressed by them with reference to education reforms and introduction of technology in a learning environment, to make our youth more relevant to the industries in the digital world. The address made by the President at the Independence Day celebrations and the address by the Prime Minister at the opening of the medical faculty of the Sabaragamuwa University are captured to highlight the likeminded thinking currently available at the highest political offices of our country in spite of the never-ending political bickering we have now got used to post Yahapalana era. This is a welcome change that should be nurtured and protected at all costs since the subject directly has an impact on transforming the capacity building of our youth to be ‘future ready’. Therefore, the writer is of the opinion that those who govern at official capacities at respective institutions namely, the presidents, the prime ministers and the Ministry of Education, should use this opportunity to create a platform to collaborate with each other to propel these ideas forward and finally get them implemented in a planned manner to realise the desired change. Since funding has also been made available through both the Asian Development Bank (ADB) and World Bank (WB), it is only the policy direction and relevance that needs to be established through collaboration. What we must as a nation strive to achieve is to ward off the common pitfall of getting into silo’s and implementing such projects of national significance and future bearing on a short sighted way resulting in a below par achievement of the outcome we originally set out to achieve. The President has articulated and recognised clearly that the present economic woes we face today are directly related to the policies we adopted and actions that have never been initiated nor continued albeit implemented resulting in a high level of poverty, unemployment and an alarming lack of contribution from youth to our economy. The latter could be attributed thanks to millions of lads’ preference to sit behind the wheel of a trishaw or the lasses opting to stand behind a counter in the supermarkets or hyper markets that are mushrooming in every corner of Sri Lanka. The President has also been forthright in identifying that our country’s future can be turned around only by investing wisely in the capacity building of our youth through the introduction of right technical education, strengthening their creativity and knack for innovation to face the future with their heads held high. As stated in the Daily Mirror on 18 January, the Prime Minister during his address at the inauguration of a new medical faculty at the Sabaragamuwa University, had reportedly requested that urgent steps be taken to change the present university curriculum to produce manpower needed for the industries coming up in areas such as Hambantota. 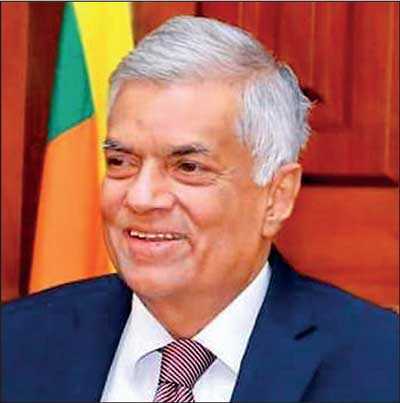 The Prime Minister stated that with over 100 factories expected to mobilise at the proposed industrial zone surrounding Hambantota port areas, universities should focus on such developments and accordingly new technology be introduced to higher education to roll out a suitable task force that can handle new technology. Another serious concern is the current student enrolment for higher education in Sri Lanka which is at about 15% as revealed by the World Bank sources. Countries in the region showcase a much healthier and an impressive progress with India, Malaysia and Thailand, accounting respectively for 24%, 39% and 51% in gross enrolment rates for tertiary education. Given the above scenario, the discussion relating to upscaling the skills and competencies of our graduates become even more significant. Since it is only a fraction who get the chance to enrol for higher education in Sri Lanka and if they too are provided with outdated knowledge which is of less relevance to modern industrial demands, we as a nation are looking at an abyss with no end since education and health are considered the prime pillars that will define and shape a country’s economic progress and prosperity. Whilst it is heartening and encouraging to recognise the unity of direction and general consensus that prevails within those who govern our state as at present reference to how our education, higher education and vocational training, should be transformed to arm our most important asset to face the future, challenging prospects lie though in the path of its implementation. As stated earlier one of the ways in which we can keep it all aligned is by clearly communicating to all authorities, the big picture we as a nation strive to achieve post these reforms. The competence and capacity built in our youth should result in the ready availability of an industry friendly technology savvy, energetic youth force that can handsomely contribute to the national wealth creation. The resulting energy when correctly channelled by either local entrepreneurs or international corporations who are looking forward to mobilise their production facilities in Sri Lanka in the many industrial zones that are in the making or ones that have already been in place, has the potential to diversify the export basket and thereby to significantly improve our export income by having a direct positive impact on our Balance of Payment (BOP). Since these current initiatives to modernise the education sector should be delicately managed with an end in mind to finally realise the mechanism to change the country’s fortunes in the medium term, the writer proposes an integrated and structured approach as follows be adopted to maximise the effectiveness and efficiency of this endeavour. Initiatives have already begun at multiple institutes over the last three to four years to introduce technology driven subjects and we should ensure that these programs are not allowed to be carried forward with a tunnel vision resulting in creating individual domains which are disintegrated from each other. Since the direction and guidance needs to originate from the highest authority to show the seriousness with which we approach this task, the writer proposes to set up an apex body comprising of senior policy makers, academics and intellectuals from the offices of the President, Prime Minister, Ministry of Education, Ministry of Higher Education and the Ministry of Skills Development and Vocational Training. Given the interest already expressed by both the President and Prime Minister as well as the Minister of Education, they should from time to time sit at these meeting to encourage and inspire the committee members of this apex body to perform with a passion for excellence and create a solid foundation from which the other programs could be successfully rolled out. The committee should raise pertinent questions such as, what technology trends are shaping the industry today? What skills and competencies would be expected from engineering or technology graduates five years from now? Which type of industries the country would like to attract through its many Free Trade Zones and Foreign Direct Investment promotions in the medium term? What type of skill gap is available from school – vocational and schools – university level education, etc. to identify the direction in which their efforts should be channelled to develop the blueprint and macro framework of engagement? Such planning and interaction between all the key institutes that have been tasked with the execution of this national program from the onset will ensure that there is synchrony in the approach with minimum duplication, resulting in maximum utilisation of multi-million dollar funds spent on this endeavour through State resources as well as funds provided by other agencies such as WB and ADB. The concept of reverse engineering has been put to best use not only by corporations but also by countries alike such as India, China and Korea in their quest to duplicate the manufacturing excellence which was once exclusively dominated by the West. This is a process by which an object is deconstructed in order to reveal its design and architecture to duplicate or enhance the product. Accordingly, we should determine the quality of graduates we require for the digital age and identify the skill set and competencies they should carry to be globally competitive. Once this is established then an appropriate curriculum should be developed combining both theory and practical aspects to provide the right learning and exposure to students. Once this curriculum is in place we should then focus thoroughly on the ‘train the trainer’ method to inculcate the required teaching techniques to improve the standards of the academic staff including the lecturers, demonstrators and technical instructors. Next would be to integrate the required technology comprising of simulators, work stations, working models, etc. 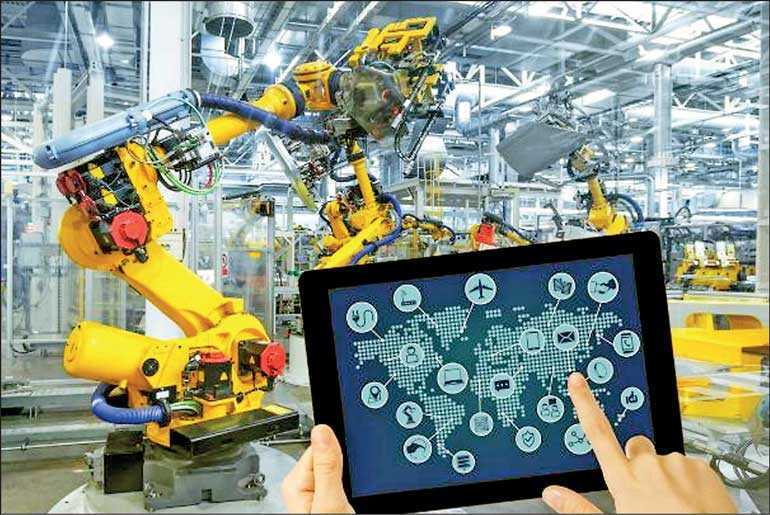 to provide the right hands on skill and exposure to modern production technologies by deploying basic elements of the 4th industrial revolution which is characterised by artificial intelligence, industrial robotics, 3D printing, internet of things, flexible and advance manufacturing techniques etc. Such laboratories should have space and volume in order to create the required ambience to foster and nurture innovation and creativity amongst the students and should provide opportunities for them to interact and participate in plenty of group work and experiments without fear of failure. Teaching and learning Science, Technology, Engineering and Mathematics in an interdisciplinary and applied method termed as STEM has now been incorporated into our school curriculum already. Given, however, our traditional and deeply rooted bias for subject specific learning and testing, introducing an integrated learning platform is nothing but challenging. This is exactly why we should take time to plan and introduce such methods in a structured manner so that both parents and students can visibly confirm a pathway of progress through this option. Another pain point that should be addressed at the designing stage is the smooth transition of such students who complete an 11-year or a 13-year school based education to universities to pursue either technology or engineering streams or to vocational training institutes to follow the NVQ qualification. The writer has observed that currently there exists a significant gap in the competency level between the school and university level, especially in the technology and engineering streams making it quite difficult for the students to comprehend, grasp and adopt basic principles. Some of these difficulties cannot be purely attributable to deficiencies in student’s capacity but partly due to teacher, curriculum and technology made available to learn and master these subjects. Therefore, it is in the best interest of our nation that policy makers spend time to seamlessly integrate school – university – industry or school – vocational training – industry transformation of our youth by making sure that the output of one is ideally suited as the input for the other. Many countries in the region have successfully implemented such modernisation and future ready capacity building programs and a number of excellent reference centres are available in China, Singapore, Malaysia, and Korea. We should identify and collaborate with such institutes to learn from their own experience in order to guide and manage our approach. In this context, we are all too aware that many such centres would be ready to share their knowledge through bilateral knowledge and technology transfer agreements with little or no cost at all. Such collaborations will not only provide the required input for curriculum development, train the trainer programs but also an opportunity to test our current thinking regards to skill and capabilities the future engineering or technology graduates should possess to be recognised and absorbed to mainstream production or service industries at a premium. Such international partnerships will also facilitate sustainability and continuous improvement of the investments being made for technology transformation in our universities and schools as these will have a very strict Continuous Development Program (CDP) and international validation programs on a yearly basis. There is no better way to learn to swim than by getting into the waters and similarly what better method to test and validate the improvements and capacity building of our youth than giving them an opportunity to work in the real world. In order to develop this university – industry collaboration the state must step in to define a broad framework of hands on training and exposure that should be given to such trainees in order to ensure that this mechanism actually acts as a complementary element to strengthen their learning. Therefore, the universities or vocational training institutes should hand pick such companies and industries in which they want their students to be given industry placements. The private sector and representatives from such industries should be encouraged to form a think tank and provide feedback to the institute as well as to the apex body which the writer discussed earlier. Such a mechanism will allow to close the feedback loop enabling automatic checks and balances regarding the effectiveness of this strategic intervention which have become a rare commodity in present day public institutions. Given that Sri Lanka will have the fifth highest aging population by 2030 in the region growing at a rate of 21% and that our region is poised to exponentially grow to become an industry hot spot led by India’s tremendous growth moving them into the position of the third largest economy in the world by 2030, todays’ youth carry the double burden of becoming relevant to the fast changing opportunities as well as to make a significant contribution to the economy in order to offset the expenditure to be incurred on the welfare facilities provided to the growing elderly population in the country. It is in this context that the write is pleased to connect the dots amongst VIP political persons who demonstrate a common thread at least in the area of education reforms and introduction of technology in the learning environment. We should definitely consider this a silver lining on a dark cloud and take immediate steps to leverage on this common platform to launch a sustainable program that is capable of making positive ripples in our economy for many decades to come. According to information available in the public domain the following programs aimed at education reforms are currently on going at national level affiliated to various ministries. It is, however, pertinent to question whether these programs have been designed and created under a unified umbrella and whether there is an authority that oversees the integration or monitor interconnectedness of such initiatives to evaluate the final outcome. 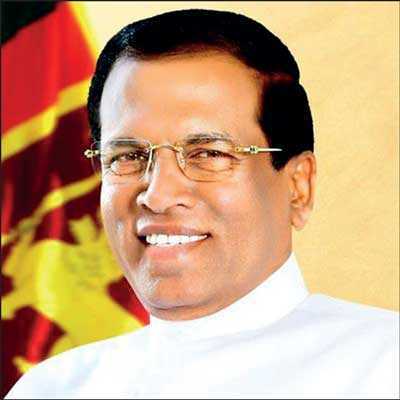 The writer has made an effort to encourage a public discussion and draw the attention of all stakeholders for the subject initiatives through this article in order to ensure that vast amounts of funds that are being spent currently for technology introduction in education, achieves the very objectives spelt out by the President and the Prime Minister, enabling at least the next generation of Sri Lankans to achieve the ‘economic independence’ considered by some economists the truest measure of a nation’s independence.